The type of energy chosen (low pressure/medium steam pressure or electricity) is essential and must be studied in detail in order to obtain optimal operating costs. Measures to reduce energy consumption are associated: mechanical steam compression (MSC), thermal steam compression (TSC) and multiples effects (ME). 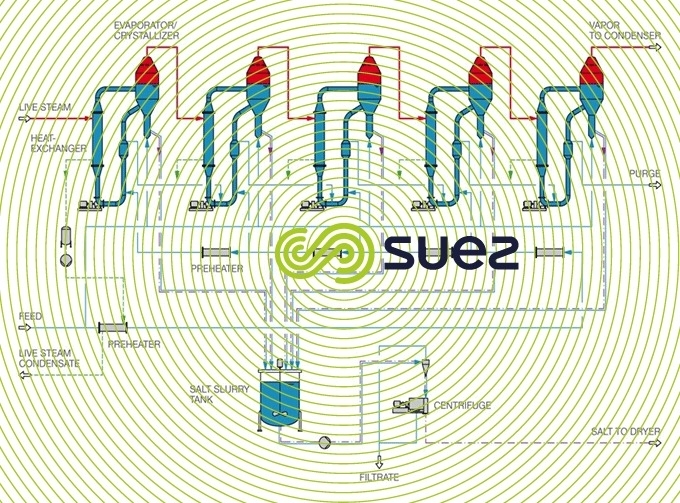 Multiple effects configurations are more advanced: each stage recovers the condensation’s latent heat from the previous stage, the number of stages being limited by the feed temperature from the heat exchanger in the first stage and the condensate cooling temperature in the last stage. 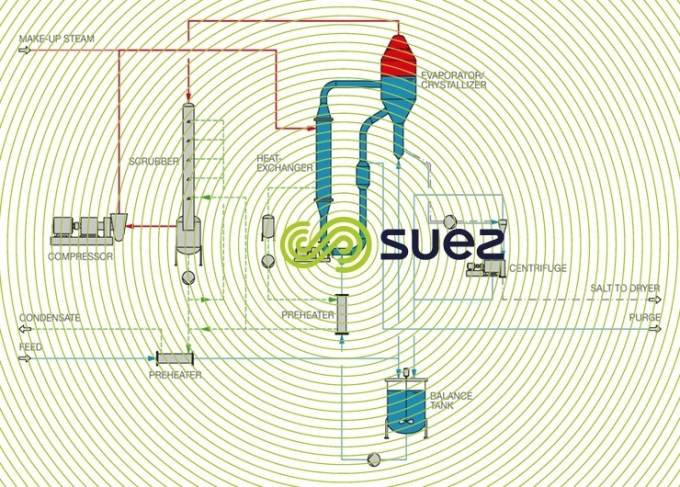 SUEZ's degremont® water handbook offers to water treatment professionals, fundamental concepts of water treatment processes and technologies as well as degremont® solutions applied to treatment line and adapted to each use of water. Designed by field men for field men, this valuable tool is essential for site managers, environmental managers, quality managers, maintenance managers, stakeholders in sustainable development, water agencies, documentation centers in universities, consultants, local authority technical departments, water management companies, etc.